This entry was posted on 16. 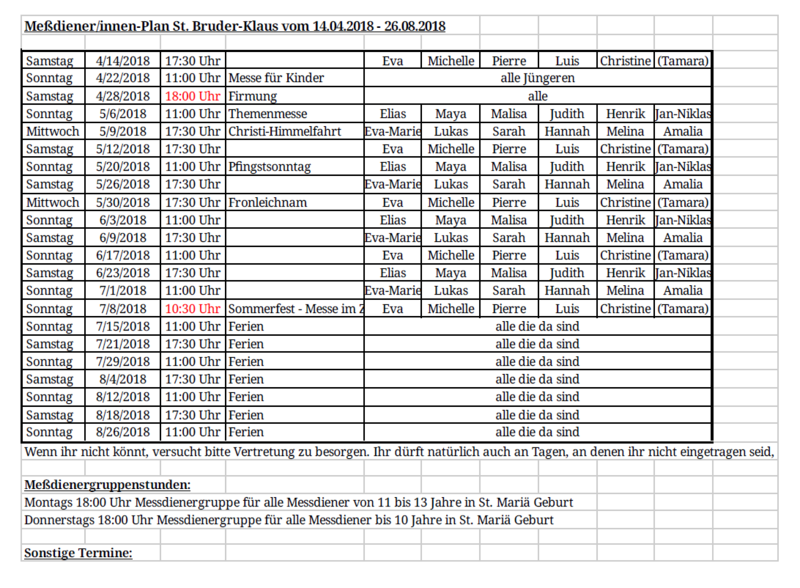 April 2018 um 19:22	and is filed under Christen am Rhein, Gottesdienst, MessdienerInnen, MessdienerInnenplan, St. Bruder Klaus. Verschlagwortet mit: April - Juni 2018, bks, Messdiener, Messdienerinnen, MessdienerInnenplan, Messdienerplan, St. Bruder Klaus. You can follow any responses to this entry through the RSS 2.0 feed. You can leave a response, oder trackback from your own site.